ZUPPA DEL GIORNO Soup of the day; ask for today’s flavour. At Bella Italia we’re passionate about bringing you a true taste of Italy, so you can experience the love, food, and magic of this amazing country. We work closely with fabulous family run businesses up and down Italy to bring you authentic ingredients, while our executive chef Vittorio Lettieri brings his Italian heritage to every delicious dish on our menu. We have 114 stunning Bella Italia restaurants nationwide with fab new makeovers! Packed full of fun Vespas, cosy booths and quirky Italian style, you’ll LOVE our new look. Soak in our bold new Mediterranean design and enjoy some seriously tasty pizza, pasta and grills. Whether it’s a romantic meal for two, a small or large group celebration or a private function- Bella is the place to be, with guaranteed good food, welcoming service and warm Italian hospitality. Dinner and a show in London! 9 to 5: The Musical tickets along with a Complimentary Dinner at Bella Italia (Strand)! Dinner and a show in London's West End can’t get much better than that! Dinner and a show, what a way to spend an evening in London’s West End, and our incredible offer means you will receive a complimentary dinner with your theatre tickets! 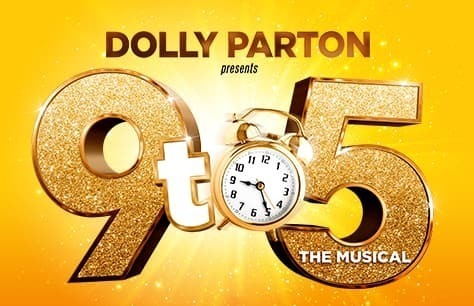 9 to 5: The Musical is one of the West End’s most popular new shows and when you start out your night with a 5.30pm reservation at Bella Italia, you can be sure it will an evening to remember! Once you finish your meal, you’ll be at the theatre in no time at all as the Savoy Theatre is just next door to the restaurant, less than 500 ft away! Free dinner with theatre tickets! Bella Italia is located directly on the Strand minutes from Charing Cross Station, making it the perfect place for a pre-theatre meal. This taste of Italy is certainly worth stumbling out of bed for! Your complimentary 2-course meal will arrive at your table hot and fresh. The short distance from restaurant to theatre means you’ll make it to the show with time to spare! 9 to 5: The Musical, based on the classic film, has been thrilling audiences in the West End with its rocking Dolly Parton tunes and girl power message. Prepare to be wowed as this talented all-star cast play come together to make the office a place worth working in. You won’t find a better deal for dinner and a show in London. Your complimentary dinner is arranged for you with our automatic table reservations so your perfect evening is just clicks away. Book 9 to 5 & Complimentary Dinner at Bella Italia tickets now! Booking until 24 July 2019. Buy a top price ticket and get a two course meal at Bella Italia - Strand for free. Valid Monday - Wednesday performances. 22 April - 24 July 2019 (Excludes 27-29 May 2019).